If you want to gain muscle and get fit, lifting weights is the best option. In general, using free weights is considered to be the most effective way to add muscle, since free weights are good for doing compound lifts such as the deadlift and squat – which work out your core quite effectively. However, not everyone has the option or the knowledge to use free weights. The good news is that you can add muscle with machines too. The old perception that free weights are the only way to add muscle mass is outdated. 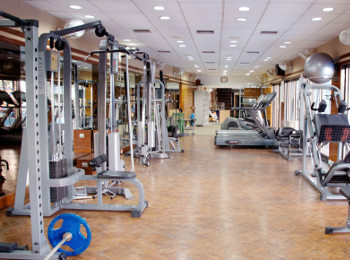 Machines have improved a lot in recent years and you can add muscle with them safely and effectively. Lets take a look at the best gym machines for muscle gains. The smith machine is a versatile machine that allows you to do a lot of the major lifts, while ensuring that your muscles move within the right plane. This helps to keep your form correct, and reduces the risk of injury while you are learning the lifts. To put on quality muscle mass, you should squat, bench press and deadlift. A smith machine can help you with some of those. Other lifts, such as rows and flyes, can also be done with machines. Cable machines are great for intermediate lifters because they offer a wider range of motion, and this means that they can help to activate more of the stabilizing muscles. In the long run this will make you feel stronger and will help to strengthen the your secondary muscle groups. This will add functional strength and help your body to better cope with the demands of day-to-day life. Machines are great for isolation exercises – things like preacher curls and leg extensions can be done very easily on machines, building up strength in the biceps and in your legs in a highly targeted fashion. Once you have a good strength base it is well worth working on these exercises to build symmetry and mass. However, most beginners should not focus on isolation exercises. As you can see there is no one best machine for muscle gains. Which machines you use the most will depend on your goals and the muscles that you are working on. You should look for a gym that has a wide range of machines, and build a program that covers all the major muscle groups. If you’re rowing a boat or pounding the surf in a dragon boat, you quickly learn that your core muscles are one of the main areas of your body at work. By ‘core muscles’ we basically mean that set of muscles down the center of your body, they are the support structure of your body and mainly consist of the belly area muscles and those in the mid and lower areas of the back. Without strength in these not only are we prone to sports injury but can lack even healthy posture. Believe it or not, we all have 6-pack abs. The only problem is, that these abs are hidden underneath those fats. However, you don’t need to get stuck with layers of fat – there are various abdominal exercises to help you bring out that 6-pack that many of us have dreamed of. Many of us, particularly men, think that doing more exercise is always better – however, this is not the case at all times. When it comes to achieving lean abs, you have to remember that the quality of your workout routine matters beyond anything else. Regardless of how many repetitions you make, if you’re doing it the wrong way, you won’t end up rock solid abs. It is essential that you understand that more isn’t ALWAYS better. Diet is so important to all kinds of fitness. You need the right fuel to not only get the best out of working your muscles, but also to repair and grow them. Food can provide everything you need so long as you understand how things work – it is worth studying nutrition in detail for any serious sports person. Supplements can help a great deal too, but it is a very confusing area with a lot of expensive but poor quality products on the market. Seek out independent reviews online using your favorite search engine or by using sites like workoutsupplementreviews.com if you’re not sure about a product. It could save you a lot of money and disappointment. You can also get some more general information on their blog here too. Another mistake many commit is that they tend to focus on one area. 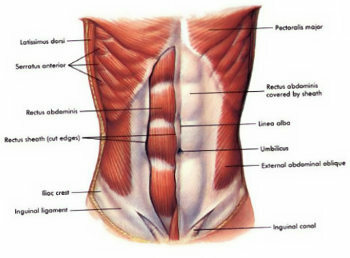 Either they concentrate on their lower abs, leaving their sides and upper abdomen unbalanced, or the other way around. Avoid doing this for an efficient exercise routine. Unless you are specifically trying to lose weight, stop watching your weight! You want to achieve greater strength, fitness and injury resistance. So stop focusing on the weighing scale and start concentrating on things that matter more than watching your weight. Now that you’re aware on what these common mistakes are, it’s time to list some common abdominal exercises that work those core areas. Examples of these are crunch, reverse crunch, reverse, oblique and crossover crunches, knee raise, plank and barbell rollout. The majority of these exercises will help you strengthen and reveal those muscles possibly hiding under a layer of ‘long term stored energy’ (fat!). It is important for you to remember though, that one exercise might work for you, and may not reveal results for other people. Each routine should be tailored to your body type, diet, lifestyle and the type of boat fitness you need. When performing these exercises, focus on your core, watch your diet and make sure that you get enough rest. Failure to do so may cause delayed results, and may even have an enormous impact on your goals. These exercises can help you achieve a solid core and even reveal those 6-pack abs, but remember, that it’s not just the exercises that matter most. You have to condition your body, do these exercises consistently and set your goals – those are the only ways to help you have those lean, washboard abs most men seem to dream of having, and to get the kind of fitness that will give you a solid foundation for all kinds of rowing and dragon boating. Unless you happen to be part of a competitive sailing team, you generally don’t hear anyone talk about getting fit to enjoy boating. Yes, we’re talking about your personal strength and fitness, not how fit the boat is to move from A to B without actually sinking. Now obviously certain types of boating are going to require a lot more strength and a much higher level of fitness than others. Sailing generally is going to require some muscle strength. 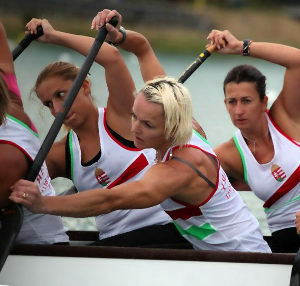 Blasting away in a dragon boat will make every ounce of muscle in your body burn! Whereas sitting back in a motorboat is not even going to get you out of breath. Although I would still argue that being in at least moderate shape is beneficial to pretty much any outdoor activity. 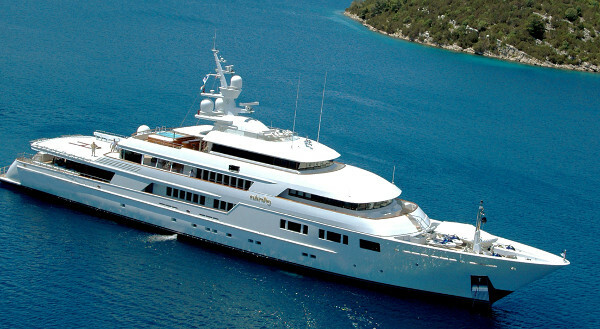 After all, if you’re the captain you are in charge of everyone elses safety on your boat, and depending on how fancy that motorboat is you still have to deal with anchoring, and throwing lines out to dock. Basic cardio fitness is good for everyone and everything. So keep your weight your down, and choose to walk whenever you can. That’s all it takes. Other than that, core strength is probably of most importance to boaters. This includes all those muscles down the center of your body that support pretty much everything else you do – everything from balance to pulling, pushing and lifting. Seriously good exercises for tightening up those core areas are planks – these are far better in my opinion than the old fashioned sit-ups and much easier to do properly without hurting yourself. Lunges are also good, as are kettle bell swings (you don’t have to use a kettle bell, you can improvise here). You get fitter just by doing an activity anyway, but it can pay to improve those levels before you begin or at any time. Better levels of fitness can certainly make your boating life more fun and allow you to take on greater challenges.